The pension crisis has been capturing headlines for years, but there’s another layer to the pension issue that’s starting to draw attention to itself. 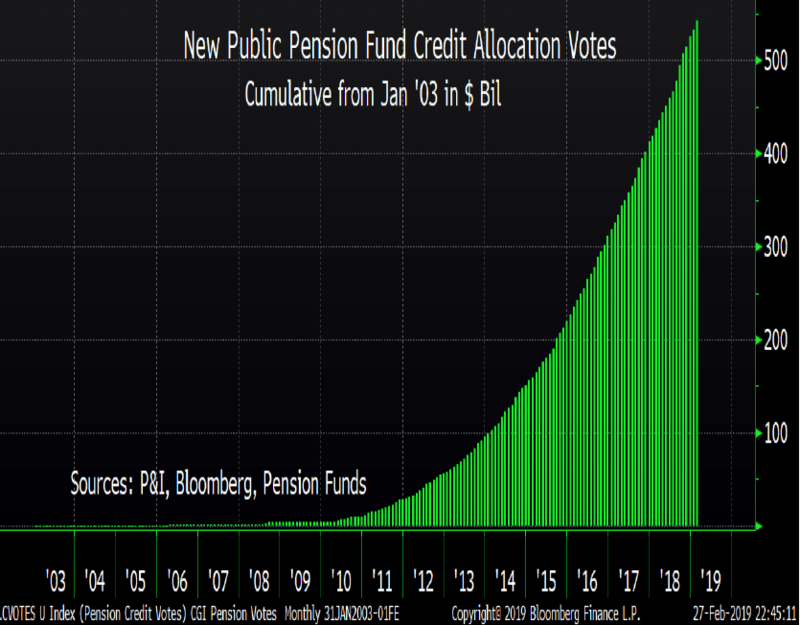 Public pension funds have shown an increasing appetite for credit and related holdings, the latest round of pension flows demonstrates that this trend continues One analyst believes pensions are largely to blame for the extremes of the boom/ bust cycles we’ve seen over the last year or so. He now suggests that the equity bull market could last another five years—thanks to the extremes driven by pension funds. 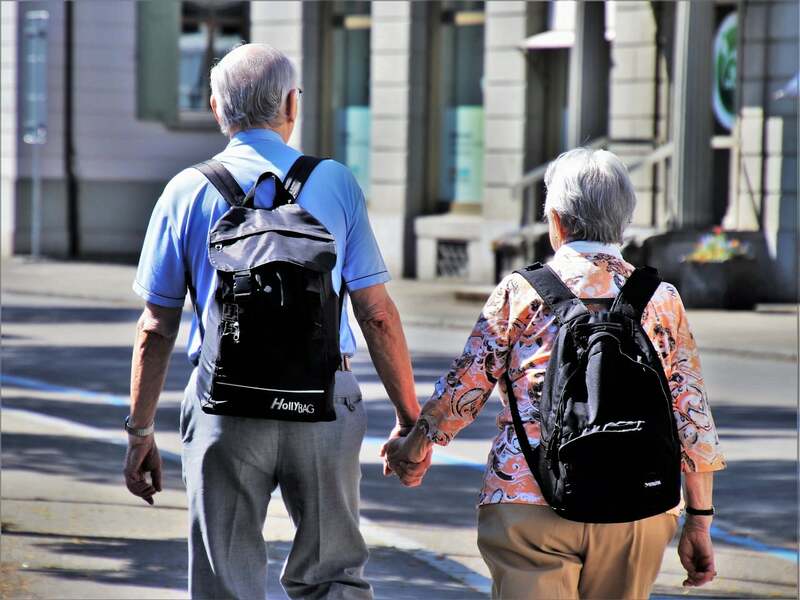 Canaccord Genuity analyst Brian Reynolds argued recently that pension funds are to blame for the extreme boom and bust cycles we’ve been seeing the last few years. He has also observed frequently that pension flows are being increasingly earmarked for credit. Now in his latest report, he explained the financial engineering dynamic he sees in pension flows and credit allocations. The term "financial engineering" is somewhat of a dirty word these days, and Reynolds appears to look upon the phrase with a similar view. He said the top question he's been asked about over the last few weeks is whether the equity market has climbed too fast since the beginning of the year. Although he said this "may be true from a very short-term technical position," it isn't true based on the actions of credit investors. "They have been gobbling up new corporate bond issues and are setting up to devour even more in the years ahead," he wrote. He also said public pensions have been racking up record new tax flows and allocating all that extra capital to credit. In fact, he keeps finding more pensions which planning to raise taxes to further increase the credit boom. For example, he said Illinois' governor proposed—among other things—to borrow $2 billion to put into the state's significantly underfunded pensions. Kansas and Houston have already borrowed money to increase their pensions in the current cycle, he added. Further, the more states boost their tax revenue, the more capital he expects pensions to pour into credit and equities. "These flows have been driving the credit boom and providing the fuel for companies to undertake shareholder enhancement activities," he wrote. "The increased levies are a major reason why we feel this credit boom and equity bull market likely have another 3-5 years to run." Reynolds also updated another angle of the pension story he has been following, which is the record pension flows being allocated to credit. For example, he said Maine's pension is investing $60 million in a private-equity fund, while Maryland's pension allocated $305 million to private-equity funds and $143 million real-estate funds, and South Carolina allocated $400 million to private equity. Meanwhile, Indiana is pouring $190 million into private credit funds, $100 million into a real-estate fund, $75 million into opportunistic real estate, and $136 million into private-equity funds. Other public pension funds with sizeable recent allocations to credit and related products include Nebraska's pension, the Chicago Public School teachers' pension, the Illinois Municipal pension, and the Los Angeles City Employees' pension. "Keep in mind that most of these latest allocations have yet to hit the market," he added. They are now growing at more than $114 billion year. That is a rate larger than the average annual value of the 2017 federal tax cut, so fiscal policy is increasingly becoming a negative factor for the economy, thought it is resulting in even more shareholder-friendly actions from companies as most of these flows are invested in leveraged credit." As a result, even though it could take the S&P 500 a while to break through the technical resistance at 2,810, Reynolds believes credit investors' actions point to "significantly higher stock prices over time."